Tonight we got to attend the opening night of Disney On Ice Dare To Dream at the Energy Solutions Arena. It was fun to see the three different stories of Disney princesses who "dared to dream": Tianna from Princess and the Frog, Cinderella, and Rapunzel from Tangled. 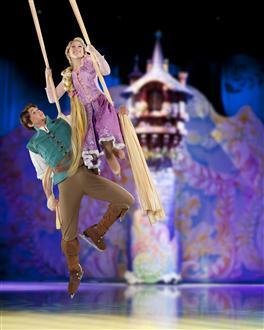 My nine year old daughter was amazed at the aerial acrobats during the Tangled story, and I loved seeing the adaptation of the stories from the movie to the ice. The ice skating tricks, jumps and twirls always draws loud applause from the spectators. 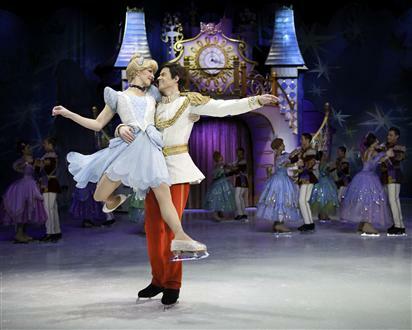 There are still four more days to catch Disney On Ice Dare To Dream. 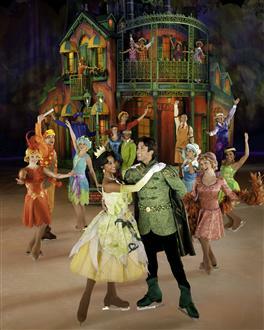 It will be playing at the Energy Solutions Arena in downtown Salt Lake City now until Sunday March 10, 2013. By using checkout code MOM, readers can receive discounted tickets for the Thursday at 7PM, Friday at 3:30 PM, Saturday at 11:30 AM, Sunday at 1:30PM and 5:30 PM performances, for ticket levels of $23 and $16. I was provided with four tickets to attend Disney On Ice Dare To Dream to write my review. I was not compensated financially for my review, nor was I persuaded to write any specific type of review. The opinions and views expressed in this review are all my own.